Krupa Solanki and Ellie Walker have been named as the recipients of the CHSA’s 2018 Undergraduate Bursaries. 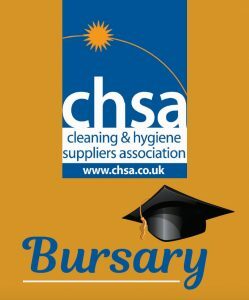 These bursaries have been awarded following the CHSA Council’s decision earlier in the year to award up to two bursaries every year for the next five years. Applicants were assessed by a Judging Panel, led by CHSA Vice President and Treasurer David Garcia, according to need, worthiness, endeavour, and overall performance. Solanki and Walker will now receive a total of £4,500 each in three installments, the first payment being made this month and the subsequent two payments being made at the start of the second and third years of their degrees. Solanki, whose father works for CHSA member GOJO Industries Europe, is heading to the University of Northampton to take Early Childhood Studies. Profoundly deaf, she now has two cochlear implants and is active in local groups for young people including Deaf Connect and Deaf Coffee. Her ambition is to work with young people with special needs, helping them overcome the obstacles they face to be successful. Solanki has already achieved a Level 3 qualification in British Sign Language (BSL), an important skill for her future plans. She will use the bursary to study BSL to Level 6. Walker’s mother works for CHSA member CPD Direct. The first in her family to go to university, she is going to study Biology at the University of Leeds. A qualified first aider, Walker currently works part-time for Lloyds Pharmacy, through which she has completed a healthcare and dispensing course. 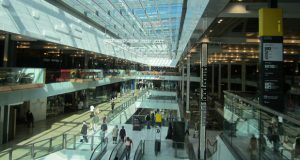 Her performance at work means she will be able to continue working with the company when she moves to Leeds. She plans to use the bursary to fund the field trips available as part of the course.